John’s Creek drivers seeking a vehicle with the capability of an SUV, the personality of a premium luxury sedan, and the soul of a racecar, need look no further than the versatile and powerful 2017 Mercedes-Benz GLA 250. Combining safety innovations, a host of comfort features, and devastatingly handsome good looks, the Mercedes-Benz GLA 250 is now available just north of Atlanta at RBM of Alpharetta! Under the hood of the 2017 GLA 250, you’ll find a standard turbocharged 2.0L four-cylinder engine, capable of generating 208 hp and 258 lb-ft of torque for exhilarating acceleration and speed. This high performance engine is paired with a racing-inspired seven-speed dual-clutch automatic transmission that features the smooth refinement of an automatic while maintaining the sporty response of a manual. Steering wheel-mounted paddle shifters are strategically placed behind the upper steering wheel spokes, so you can upshift or downshift on demand in Manual mode, or choose ECO or Sport modes for increased efficiency or an intensified shift response. Three overdrive ratios further boost fuel efficiency at highway speeds. An advanced electro-mechanical power steering system delivers precise straight-line stability and quicker response when cornering, and the versatile four-wheel independent suspension is engineered to provide capability and composure in a variety of driving conditions. The confident stance and muscular shape of the GLA 250 is a reflection of its SUV heritage, as well as the advanced design within. Aerodynamically advanced to enhance roadhold and efficiency, flared wheel arches and side sails wrap around bold 18-inch or optional 19-inch five-spoke alloy wheels. Meanwhile, the arched roofline is highlighted by chrome roof rails and an integrated rear spoiler. 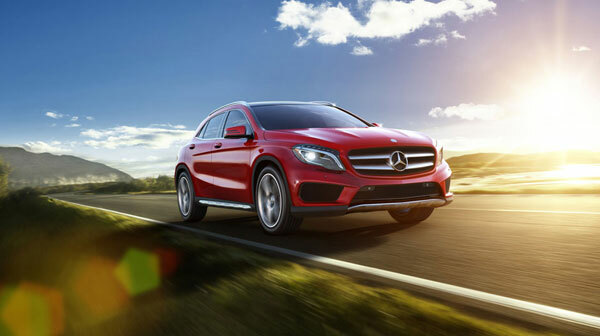 The Sport Package further expresses the GLA 250’s performance soul with an aggressive front apron, vertical side grille, and a rear valance surrounding twin chrome tailpipes. The signature wide grille with the iconic large central tri-spoke logo makes this bold SUV an unmistakable Mercedes-Benz. Inside the cabin, a network of strategically placed LEDs help set a relaxed tone by casting a soothing ambient glow through key interior areas, while the cool tone of anthracite trim adds refinement and intrigue. Deep tinted privacy glass and an optional panorama roof boost warm-weather comfort for you and your passengers. With the leather-wrapped, three-spoke multifunction steering wheel in your hands, you’re in complete control of the Mercedes-Benz GLA 250. Scroll through screens on the 4.5-inch color instrument cluster display, browse and adjust the audio and video systems on the 7-inch freestanding display, utilize optional navigation functions, or place and receive phone calls when you pair your Bluetooth®* compatible phone to the vehicle. With this SUV’s Media Interface, your vehicle becomes an extension of your smartphone or MP3 player. 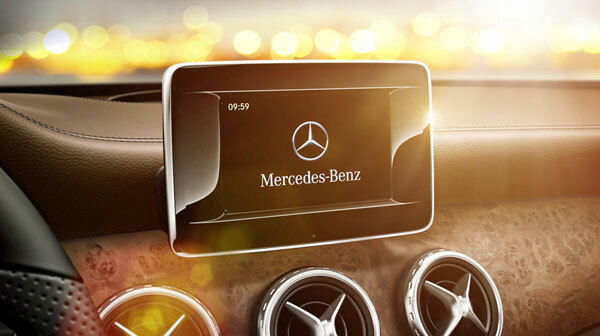 The SmartKey® remote further enhances your experience, integrating power door locks, a removable valet key, a remote panic alarm, the power liftgate, and the ability to start your Mercedes-Benz GLA 250 with the push of a button in the dash. The versatile cargo area has plenty of room for all of your gear, and the 60/40-split folding rear seatbacks let you customize the rear cargo area to suit your unique needs. The legacy of Mercedes-Benz safety is embedded in every aspect of the Mercedes-Benz GLA 250, starting with the vehicle’s body structure. High- and ultrahigh-strength steel are used at multiple levels throughout critical areas like roof pillars, door beams, flooring, and various other reinforcements to protect occupants from the effects of a collision. Front and rear crumple zones further protect passengers by deforming progressively to absorb the crash forces during an impact. 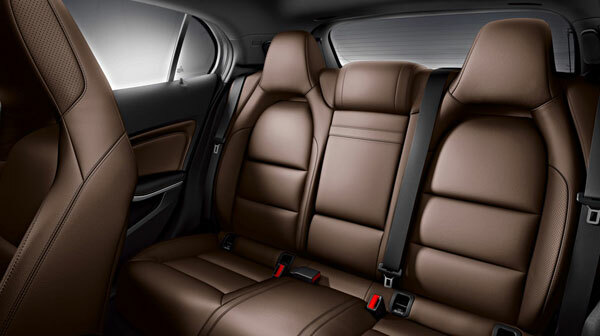 Inside the cabin, you’ll find an advanced system of eight airbags providing 10-way protection, with dual-stage airbags in front, front side-impact head/torso airbags, side curtain airbags, and dual front knee airbags. Thanks to advanced systems such as Active Brake Assist and ATTENTION ASSIST®, your Mercedes-Benz GLA 250 is actively working to ensure that those safety measures are a last resort, enabling you and your vehicle to react more quickly to potential danger with advanced sensors and warning systems that let you avoid impact entirely. 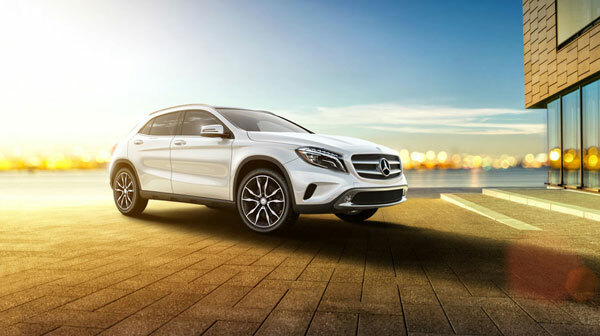 If the combination of sleek style, SUV versatility, uncompromising safety and a host of luxury appointments are calling your name, the 2017 Mercedes-Benz GLA 250 luxury SUV is the vehicle you’ve been waiting for. The best way to know for certain is to experience it for yourself. 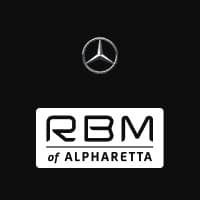 The knowledgeable staff at RBM of Alpharetta are available to help you find the Mercedes-Benz vehicle that’s a perfect fit for your active life, so contact us at or visit our showroom, conveniently located north of Atlanta at 345 McFarland Parkway in Alpharetta, GA.